Every day, heart health has a significant impact on businesses. Heart disease and stroke are among the nation’s leading causes of death and disability, as well as the most expensive medical conditions for businesses. 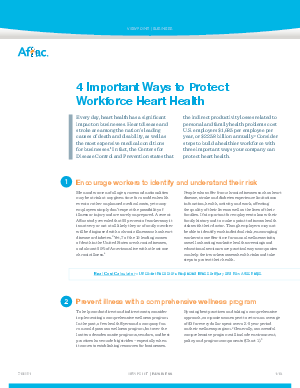 Consider steps to build a healthier workforce with three important ways your company can protect heart health.